Tough brass ‘Y’ hose joiner for joining three lengths of hose of the same size. Various sizes available. A robust and lightweight aluminium hoselock type male hose connector with a 16mm hose tail (Yellow). Tough brass fitting suitable for joining components of your water fed pole system. Various sizes available. 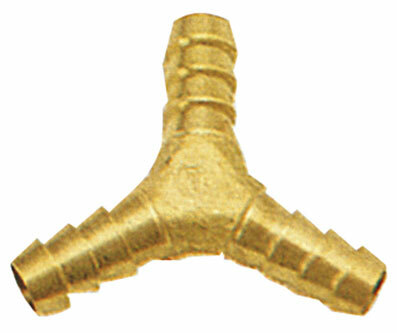 Tough brass 'Y' hose joiner for joining three lengths of hose of the same size. Various sizes available.